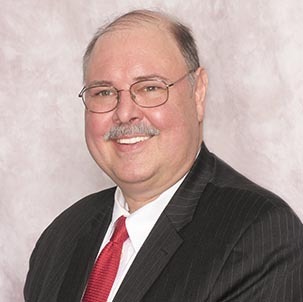 Art Hendela, Ph.D., founded Hendela System Consultants, Inc.
in 1988 in Lyndhurst, NJ. We build software solutions that work. We love it when we can provide our customers with systems that work. Hendela System Consultants, Inc. was founded in 1988 with one mission - create software that works. With many long term customers who value our analytical precision and dedication to building systems that work, we have become a leader in helping large and small companies alike to build their profits from their websites. The story of Hendela System Consultants, Inc. started in 1988 in a house in Lyndhurst, NJ. Since then we have served countless customers in industries from aerospace to insurance, from banking to manufacturing. Our customer list reads as a who's who from Fortune 100 companies to small companies in your neighborhood. Our software is created by some of the most passionate people in the industry. Regardless of the size of your business, we have the knowledge and the expertise to make your project successful. Hendela System Consultants, Inc. was founded in 1988 with one mission - create software that works. With many long term customers who value our analytical precision and dedication to building systems that work, we have become a leader in helping large and small companies alike to buld their profits from their websites. Art Hendela - President of Hendela System Consultants, Inc. Art has run Hendela System Consultants since 1988. Art was valedictorian of his Lyndhurst,NJ High School Class of 1976, holds a BS Chemical Engineering, MS Computer Science, and is PhD(ABD) in Information Systems. The buck stops here! David Pan - Chief Developer. David’s expertise in Visual Basic and other desktop languages such as Foxpro and Access has been instrumental in bringing our projects in ontime and on budget. David is a consultant and is president of Pan Express Systems Corporation. Vega Hendela - Office Manager. Vega does everything from Payroll to sending out Orders and Information Packs. Vega's attention to detail keeps everything moving smoothly. She makes sure nothing slips through the cracks. Robert Anderson - Programmer. Bob brings special expertise in the area of web design and photoshop graphics. In addition to his design duties, Bob also programs in the .NET environment.